Today has been a very busy day. I got up and set up dough for sandwich rolls, and then while that was sitting, I made a peanut butter coffeecake from my Better Homes and Gardens cookbook (which included as a rather perky note (this version was published in the 80’s) that this would delight my coworkers when served to them at break time. Um, since I now work 100% from home, sorry, cats, you don’t get to be delighted, but it was pretty delicious). I also made dinner rolls to go with the soup we have planned for later this week, and finished off a piece for the next Lacy Knitters Guild newsletter, and paid some bills and did some cleaning, and laundry, and got to hang out with a friend who came for some kitten therapy. Oh, and also I made lemon curd, because there are still a bazillion lemons in the fridge. 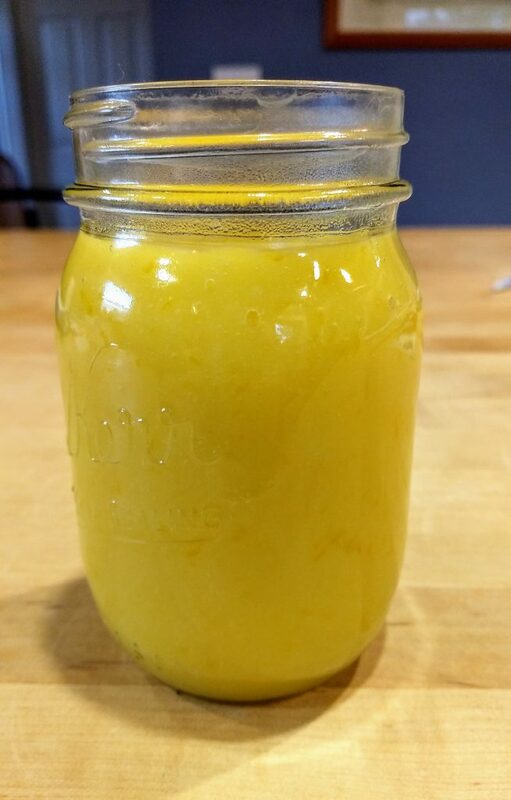 It is inevitable, when you are looking at how to use up lemons, that lemon curd will happen. I have made it many, many times in the past and will make it many more times in the future. All it takes is butter, sugar, and the juice and zest of a couple lemons, plus twenty minutes of your time. I have seen recipes that indicate that you can get away with just stirring occasionally, and sure, that will work just fine if you don’t mind little bits of cooked egg in your curd, but I would rather just stand there and whisk it the entire time, because it’s worth it. Most of this is earmarked for recipes later this month, but we couldn’t help having just a little tonight. 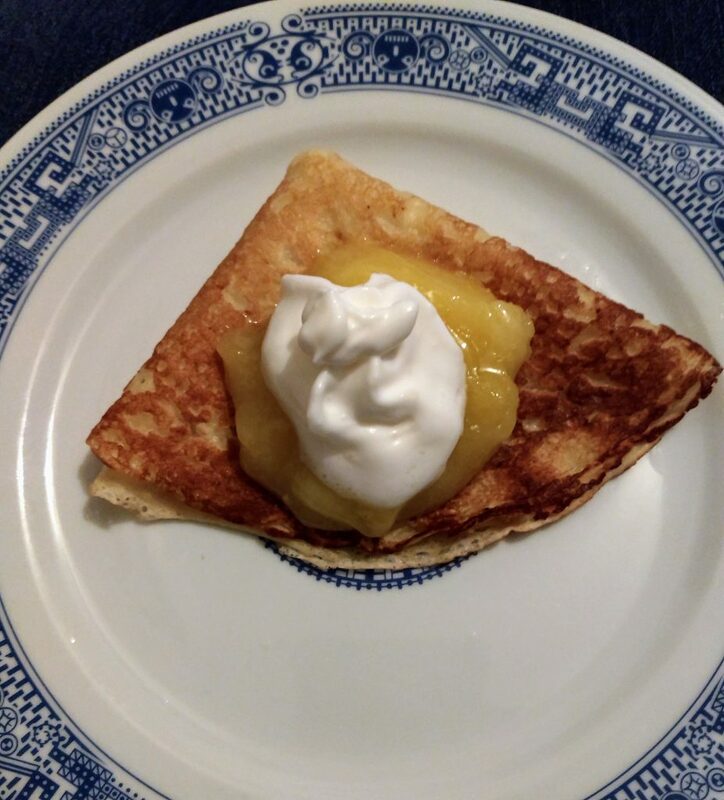 After all, we still have extra crepes that need using up, and a dollop of fresh lemon curd is a delightful way to do so.